On July 26, 2013, we had a riveting Q&A Interview with Laura A. King, PhD, Professor of Psychological Sciences at the University of Missouri at Columbia and one of the world’s leading experts on the study of meaning in life. In preparing for this interview, I asked Laura, “Why are you so fascinated by research on meaning in life? Why do you feel it’s so important?” She paused and said it’s important because it’s research that can uniquely make a difference in people’s lives. Her goal is to change the way people think and talk about meaning in life. They should know that finding meaning is not the hopeless dilemma some people think it is. She recently gave a talk entitled “Why is life so meaningful?” at a large university. At the end, one of the post docs came up and sort of whispered to her, “I don’t know exactly how to say this, but in some ways, your work makes me feel so much better about life. I feel such relief…almost…I don’t know how to say this….inspired?” She was touched by his honesty and assured him that he was not alone. In fact, such reactions are one of the reasons she finds her work to be fulfilling. During our interview with Laura on the 26th, she will share ideas that may make a difference for us as well. And we will have the chance to ask her as many questions as we can about such issues as what meaning is, why it matters, what is unique about her perspective on it, whether (and how) it can be increased, and much more. It will be exciting. In the literature of positive psychology, meaning has emerged as a variable related to happiness and well-being. Marty Seligman’s PERMA model, presented in his 2011 book Flourish, includes the initial “M” for meaning, recognizing it as an essential factor contributing to happiness and a sense of flourishing or thriving. In our day-to-day lives, we sometimes work with people who question their meaning and purpose in life or work and with others who are trying to find or reconstruct it after challenging life events have occurred. Meaning is often observed by its absence–we recognize meaninglessness in events or work, and then consciously and intentionally and rationally construct or superimpose meaning. Laura A. King, internationally known for her research in this field and in positive psychology, has developed another perspective on meaning, inspired by one of the founders of psychology, William James. With this approach, meaning also emerges out of intuitive processes: understanding is not constructed by the mind (which often counters intuition), but is automatically sensed or intuited (“just known”) through meta-cognitive experience, feeling, and personal exploration. In her presentations and writing, Laura shares her musings about meaning in personal experiences, integrating these with her research on magical thinking, pattern recognition and what is sometimes called “semantic coherence judgments” in order to demonstrate the importance of individual differences in intuitive information processing. And also to demonstrate the importance of positive emotion in the experience of meaning. People’s narrative stories about coping with life-changing events support this wider perspective: the world is full of meaning. We can experience it if we allow ourselves access to it. And there are signs everywhere that we can use to recognize and understand how life makes sense to us. At certain times, it may be difficult to find meaning in life. But Laura’s work suggests that life is generally meaningful. Indeed, most people actually rate their lives as “pretty meaningful.” Her research and writing also illuminates the ways that even mundane aspects of life (e.g., being in a pretty good mood, or simply going about our everyday routine) can be sources of meaning in life. Finally, Laura acknowledges that we sometimes do create meaning–but notes that not all meaning is created. Meaning can also emerge from our experience without our having to construct it-all we have to do is notice it. Further, being generally happy makes it more likely that we will then be open enough to our own intuition to sense, feel, and understand life as meaningful. Laura A. King PhD is Professor of Psychological Sciences at the University of Missouri, Columbia. She received her BA in English Literature and Psychology at Kenyon College and her PhD in Personality Psychology from the University of California, Davis. Laura was on the faculty of Southern Methodist University (SMU) for 10 years prior to moving to the University of Missouri. 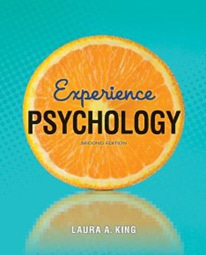 A 2001 recipient of the Templeton Positive Psychology Prize, Laura has published over 90 articles and chapters and two user-friendly college textbooks, The Science of Psychology (currently in its 3rd edition) and Experience Psychology (now in its 2nd edition) both of which have an appreciative focus, looking at “what works” before examining what doesn’t, exploring function before dysfunction. She received the Carol and Ed Diener Award for Distinguished Contributions to Personality Psychology in 2011. Laura has served as editor or associate editor for a number of journals in personality and social psychology and is currently the editor of the Journal of Personality and Social Psychology: Personality Processes and Individual Differences. Over the years, she has received numerous awards for her teaching and academic work, including one from SMU in 1999 for “sustained excellence” and the 2004 University of Missouri Chancellor’s Award for Outstanding Research and Creative Activity in the Behavioral Sciences. Laura’s research has been funded by NIMH and NSF and is focused on well-being and meaning in life, especially motivation, narrative approaches, folk theories of The Good Life, and individual differences in intuitive information processing. Whatever the topic, her work reflects an enduring interest in what is healthy and functioning about people, and recognizing psychological functioning in everyday people and their everyday lives. Laura’s goal is to change the way people think and talk about meaning in life–to help them transition from “searching for” and “struggling to find” what gives meaning to a process of “noticing” the meaning that emerges from a combination of intuition, cognitive experience, sensing, and feeling. Laura lives in Columbia, Missouri, with her partner, Lisa, and their son Sam, who is 9 years old. She enjoys hosting dinner parties, cooking, good food, good wine, roller skating, and morning runs with Bill, the family dog. “Intuition, Magic & Meaning” (86 mins) Presented to an academic audience. Engaging, comprehensive video covering Laura’s perspective on meaning and supporting research. Selected journal articles by Laura on meaning in life in Psychological Science and Journal of Personality and Social Psychology. Champions of Psychology: Laura A. 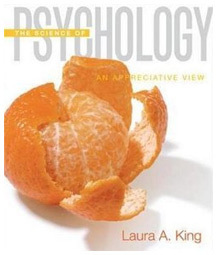 King, in Association for Psychological Science Observer.Interview with Laura on advice for success in graduate school.